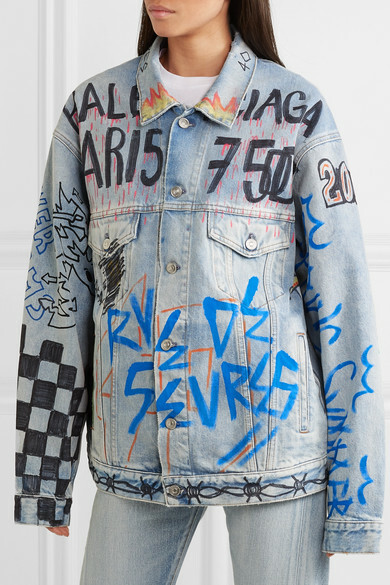 Balenciaga's graffiti pieces are already a hit on the street style circuit, and we predict this denim jacket will garner just as much attention. 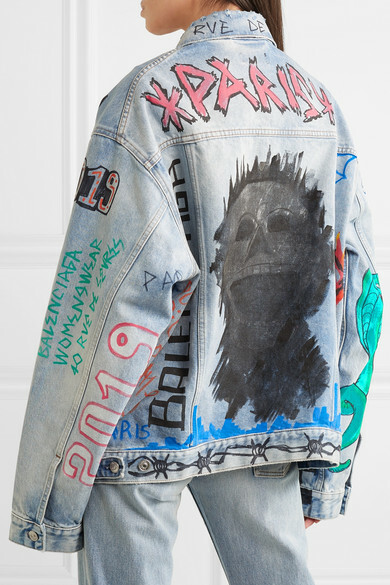 Cut for an oversized fit, it's decorated with hand-drawn scribbles and various iterations of the label's logo. 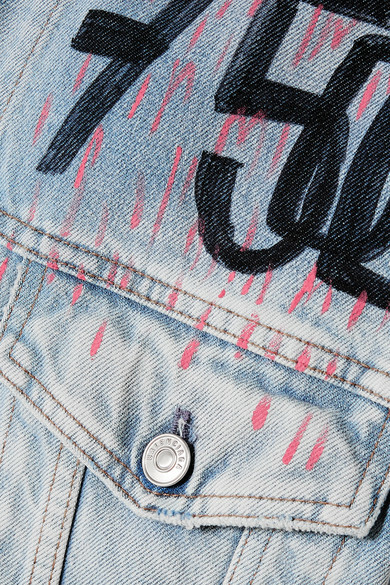 Wear yours with jeans in a similar light wash. 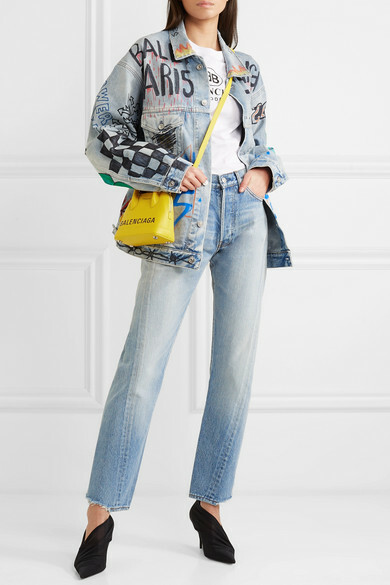 Shown here with: Balenciaga T-shirt, Balenciaga Tote, Balenciaga Pumps.